Celebrated writer Sir Terry Pratchett has backed an appeal to raise £500,000 in honour of cancer and dementia charity Cobalt’s 50th anniversary. The charity has begun an anniversary appeal to raise money for a new PET/CT scanner that detects dementia and cancer in its subjects. Sir Pratchett was diagnosed with Alzheimer’s in 2007 and is fully supporting the appeal that could help people in the UK be diagnosed earlier and receive help from specialist nursing care homes when they need it. The writer, in all his time of fundraising and campaigning since his diagnosis, has so far raised £500,000 for the cause. 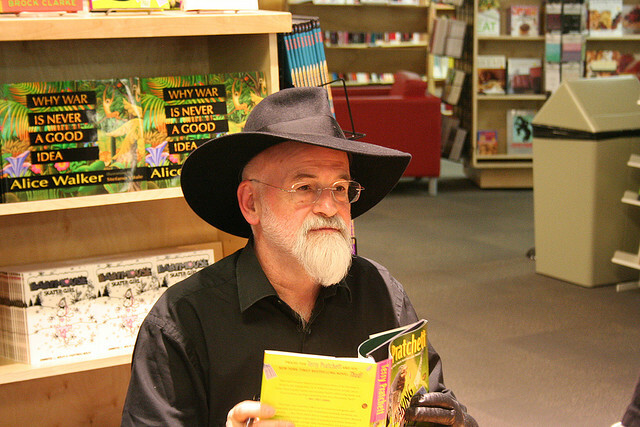 To support the Cobalt 50th Anniversary Appeal Sir Pratchett has urged people to donate to the charity saying in this article, “I urge you to support Cobalt’s 50th Anniversary Appeal, to aid their pioneering cancer and dementia diagnosis and research work”. A collection will also be passed round for the charity at the end of each performance of Pratchett’s latest play Lords and Ladies at the Cheltenham Playhouse Theatre.